Dentists tend to get all the credit when things go right during a procedure, but as most will admit, a dentist is only as good as his equipment. If you’re using worn-out equipment or haven’t invested in necessary tools, you’ll never reach your full potential as a professional. 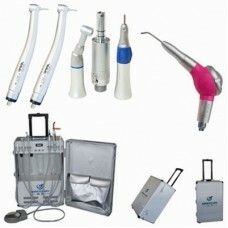 One of these necessary tools, dental autoclaves, plays a crucial role in keeping your patients healthy. Since autoclaves are involved in the sterilization of dental instruments, you simply cannot afford to invest in anything but the best. However, you should know that there are several varieties and price points of autoclaves available to suit your specific needs. Maintain sterilized instruments in the pouches or wrapping in which they were sterilized. If the packaging becomes torn or wet, the items must be repackaged and heat sterilized. Avoid mingling non-sterile packages with sterile ones. There should be a visible indicator, such as chemical indicators or color-change autoclave tape on the outside of each package to allow staff to easily discern sterilized instrument packages from those that have not yet been heat-processed. The Centers for Disease Control and Prevention (CDC), the American Dental Association (ADA), OSAP, most state dental licensing boards, and dental handpiece manufacturers all recommend heat sterilization between patient uses. Virtually all handpieces currently in production are heat-tolerant, and those that are not can be retrofitted to allow heat-processing. Autoclaving and chemical vapor sterilization are considered accepted methods of heat sterilization. High-level disinfection via chemical germicides cannot be biologically monitored to assure sterility. Further, extended contact with chemical germicides may corrode handpiece components. Autoclaves are certainly essential to your job as a dentist, but as you know, there are thousands of other things you’ll need to pay for along the way to properly stock your office. The average new dental practice needs about $500,000 in cash for structural upfit, equipment, and supplies. If this sounds impossibly daunting to you, you are not alone. Find a trusted retailer online that offers a wide range of dental tools as they typically have higher quality equipment with lower prices.